Clifford Harris Jr. was just trying to get home. 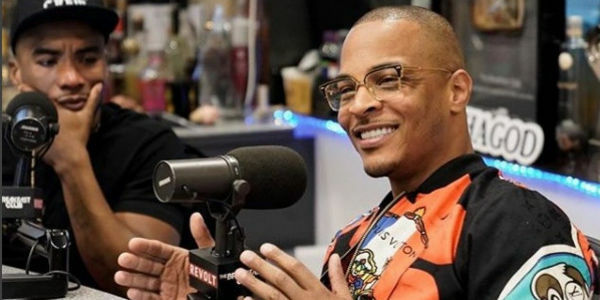 The award-winning musician and actor — better known by his stage name T.I. — was trying to get inside his home in a Henry County, Georgia gated community when he was confronted by security. Unfortunately, he had misplaced his keys and so when he approached the guardhouse and found the guard asleep, he woke him up and explained his predicament. But the guard refused to believe that T.I. could live in such a nice estate and denied him entry — even after the artist got his wife on the phone to confirm that he did indeed live in the community. Instead, the guard decided to call the police on him and that's when things went from bad to worse. The police refused to listen to his side of the story and the rapper was quickly arrested, taken in and charged with disorderly conduct and public drunkenness. The racist guards of T.I. 's community should have never called the police. A simple check would have proven who he was and the situation could have resolved there. But instead they decided to involve the police which used the opportunity, not to aid the citizen in need, but support security who were in the wrong. In short, T.I. 's charges are ridiculous and the law enforcement knows it. Mr. Harris deserves an apology and most of all he deserves to have these trumped up charges dropped. Sign the petition and ask Henry County law enforcement to drop the charges now.